this is a story I hear time and again from friends and people who phone me for information and support regarding cancer! Hundreds of thousands of people in the UK face poor health or disability after being treated for cancer, says a report from Macmillan Cancer Support. 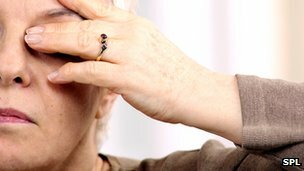 The charity says more should be done to help the one in four affected by long-term problems such as chronic fatigue, pain, sexual and urinary difficulties. These problems can occur when healthy cells are damaged during treatment. Macmillan says patients should be offered continuing support after their treatment for cancer. Although more people are surviving cancer than ever before, thanks to better detection and new treatments, Macmillan says there can be long-term physical and mental consequences to cancer treatment which often go untreated. Using a combination of published data and expert opinion, they calculated that 25% of those who have been diagnosed with cancer at some point in their lives will be affected. ‘Doubled-edged sword’ Currently, they estimate that 350,000 people are living with sexual difficulties, 240,000 with mental health problems, 150,000 are affected by urinary problems such as incontinence, and 90,000 are experiencing problems like diarrhoea and bleeding as a result of having had cancer. The report suggests that people who have had cancer are more likely to experience health problems than those without cancer. Prof Jane Maher, chief medical officer of Macmillan Cancer Support, said progress was a double-edged sword. “Put simply, the better we get at treating and curing cancer patients, the more people we will have living with the long-term effects of cancer and its treatment. She said too many cancer survivors were suffering in silence. Recovery package A spokesman from NHS England said the report highlighted the future challenges the NHS had to meet. Ciarán Devane, chief executive of Macmillan Cancer Support, said the NHS had underestimated the severity of the issue. This entry was posted in Cancer, Cryoablation, Kidney Cancer, Magnetic resonance imaging, Surgery, Tumour and tagged Cancer, Cancer Consequences, Cancer Health Issues, Cancer Support, GL-W, Greg Lance-Watkins, Greg_L-W, MacMillan Nursing, MacMillan Support. Bookmark the permalink. ← Donor Choice & Compulsion!